It's crucial for EMS Billing Staff to stay updated on key HIPPA rules. HIPAA, otherwise known as the Health Insurance Portability and Accountability Act, is an information security and privacy law that has made EMS billing more difficult to carry out due to its restriction of information uses from different healthcare providers. EMS billing has felt the burden of this legislation due to the introduction of electronic and Medicare billing within the last 15 years. Hospitals, nursing homes, and other healthcare providers that deal in medical records have become less forthcoming with information on patient care, and in turn, it has become more difficult to provide a seamless transition of information when attempted to provide the best patient care. This lack of education amongst other healthcare providers is just another important reason for educating EMS billing staff so that efficient ambulance billing and healthcare is maintained while being compliant with HIPAA. Educating the EMS billing staff on HIPAA is crucial. HIPAA is broken into two main areas when it comes to protecting patient information: privacy and security. Electronic billing and the natural move to this information being sent to different healthcare providers via the internet has made securing information to be HIPAA compliant more difficult than prior methods of EMS billing. 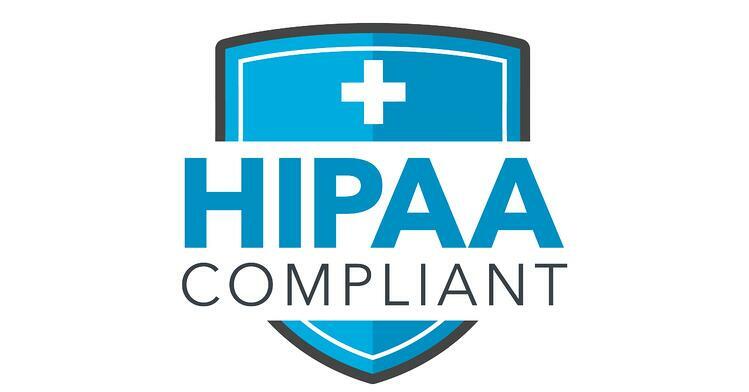 Information security is the first step in HIPAA compliance and that begins with the method of EMS billing that each company has chosen and making sure it meets the security guidelines set forth by HIPAA. The second area of HIPAA that is necessary to educate EMS billing services on is the privacy aspect of the law. This education can be done simply by knowing what EMS billing staff can and cannot do with the healthcare information of a patient that was provided a service by their agency. HIPAA compliance in EMS billing through education of the EMS billing staff comes through interpretation of the law by the entire billing staff. Information can be used in a variety of ways, such as coordinating patient care with another healthcare provider that EMS has directly worked within the care of the patient. These providers include but are not exclusive to, hospitals, nursing homes, and private practices. This is important to EMS billing when seeking to obtain patient information from one of these providers when they may be hesitant to be forthcoming with necessary information in the billing process. You can obtain this information more efficiently if your EMS billing staff is educated on HIPAA compliance and can explain to another hesitant healthcare provider that it is HIPAA compliant to share information with other healthcare providers. Another key fact is that when EMS billing is not being billed directly to the patient, but to a third party caretaker or family member, it is HIPAA compliant to share this information with them as long as the patient does not object to it. Big HIPAA violations to avoid. There are a few big violations to stay away from when sharing information about a patient when attempting to be HIPAA compliant. The first is that healthcare information obtained through EMS billing or any other method cannot be shared with the patient’s employer. This is a breach of HIPAA and can be reported to the healthcare provider, insurance company, or even the proper government authority. The second is that the information cannot be used in a data study or for any marketing purposes of the company that provides healthcare to a patient unless consented to by the patient himself. Finally, any details of the healthcare provided that does not directly pertain to EMS billing, such as mental or physical state of the patient, should not be shared under any circumstances unless it is to coordinate the care of the patient. This would not be necessary in EMS billing, so such details would most likely be omitted to be sure of HIPAA compliance. AIM EMS Software and Services can help with maintaining HIPAA compliance in EMS Billing. AIM EMS Software and Services can help with maintaining HIPAA compliance in EMS Billing in two of the major products and services they provide. AIM’s EMS billing software is built to provide a secure stream of information that is compliant with the security aspect of HIPAA, and is backed by a support team that is always there to help customers with questions or issues related to maintaining HIPAA compliance. Another service that AIM provides to stay up-to-date with HIPAA compliance is their EMS billing services, which takes the HIPAA compliance aspect of EMS billing out of the hands of the ambulance provider and places them in the capable hands of AIM’s EMS billing specialists. Never again worry about being out of HIPPA compliance—learn more about AIM EMS Software and Services today.